We believe all of our products are great, but if something is just not right with them, we'll accept returns and exchanges. Returns are accepted on all undamaged/new condition items within 21 days of shipment date. 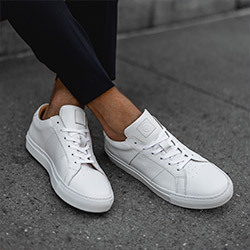 Shoes should be tried on indoors on a clean surface.Shoes received in a condition with excess wear or damage may not qualify for a return or exchange. You have 21 days from shipment date to return your GREATS. if your return window has elapsed, please contact customer service for help. customer service at info@greatsbrand.com to return or exchange your order. 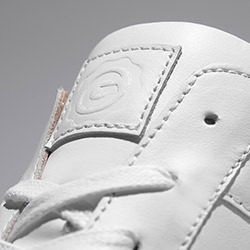 Any GREATS.COM order may be exchanged online or at any of our retail locations, stock permitting. Your shipping cost will be on us within 21 days of shipment date.Once your exchange has been accepted, we will provide you with a shipping label, worry-free. When our warehouse receives your return, we will ship out your exchange. You can expect to receive your refund within 10 business days after your return has been shipped.